Small wild rainbows like this get no respect; yet they will hoop your 4wt or 5wt over. A good old Griffith's Gnat often does the trick when fish are feeding on surface midges. The view is truly spectacular on the Crooked, and I feel like only anglers and bikers know that. The standard average cookie cutter rainbow on the Crooked River. They are scrappy and fight well! Nikki getting artsy on the camera. Cool effects and the pretty view. Where's the angler.....? A little scenic relaxation after fishing before cruising back to Portland. Mt Hood was rather looming on the ride home. What a view! I never can get used to it! 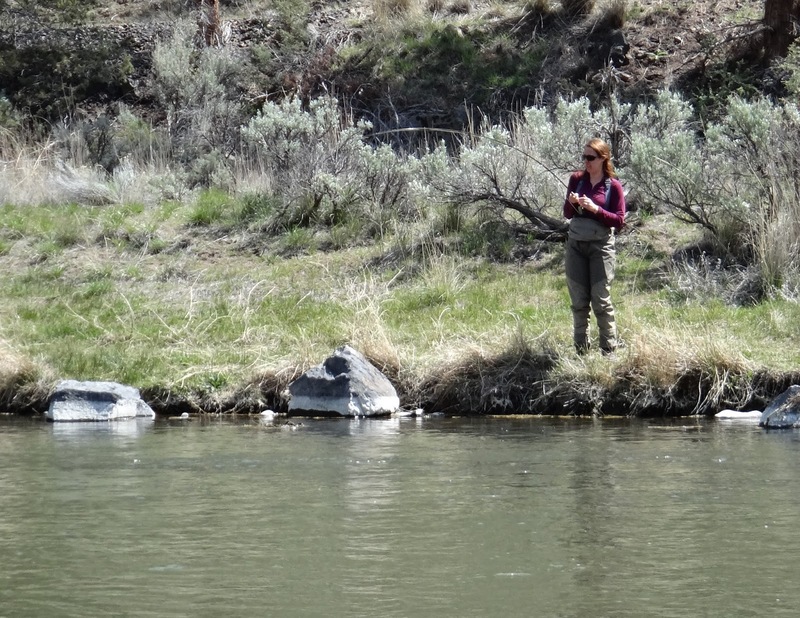 This Easter, Nikki and I headed to the Crooked to catch some fish and see some canyon views. We knocked out both goals, with views that were amazing, and fishing that was fair to start, and really good for the rest of the day. Fishing was challenging at first with fish rising to midges in slow water, and most of the fish were keyed into that. After a while as the day warmed up, the fish were rising in faster water, and some Blue Winged Olives came off. The hot ticket was fishing a parachute pattern representing the BWO, and then to have a black Zebra Midge dropped off of it by about 2 1/2'. With that combination the fishing was crazy good, and the action was so hot and heavy that we stopped fishing around 3:30, and chilled for a little before driving back home. The whole drive home was filled with dazzling views, and it was a day well spent with my lovely wife! Sounds great! Thanks for the inspiration.